Photo at the top of the page was taken by Rick Dixon on Smallpox Island. 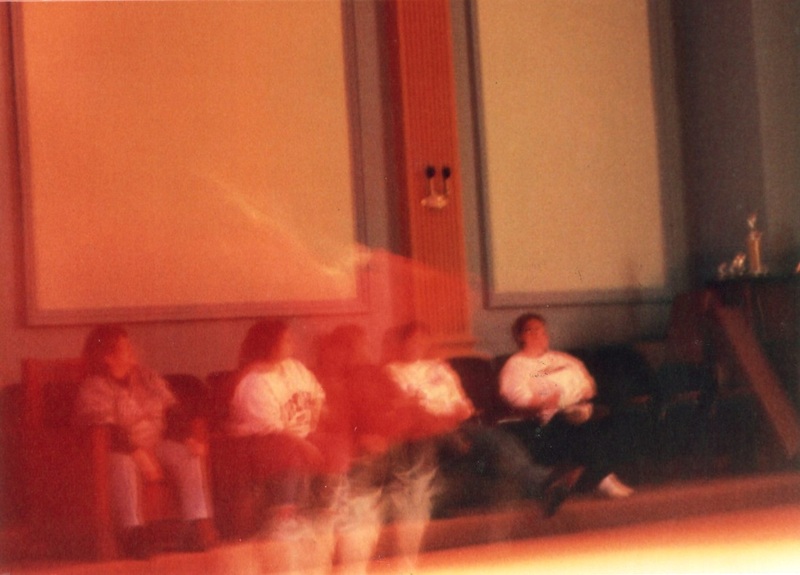 Note the transparent figure sitting on the steps. 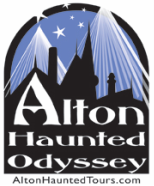 ALL PHOTOGRAPHS ON THIS PAGE ARE PROTECTED BY COPYRIGHT LAWS AND YOU MAY NOT DOWNLOAD OR USE ANY OF THE PHOTOGRAPHS WITHOUT THE EXPRESS WRITTEN PERMISSION FROM ALTON HAUNTED ODYSSEY. 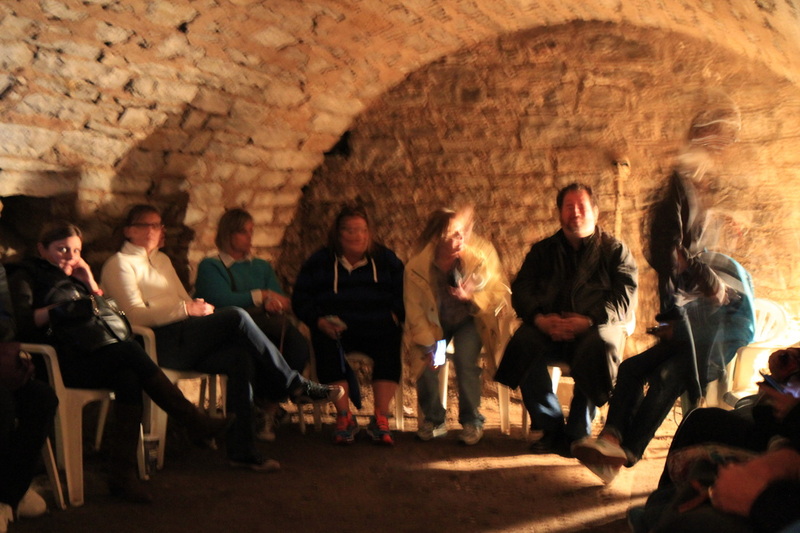 on the October 17, 2014 Bare Bones tour. the ladies to the right of David seem to be aware of the presence. The figure's hair and jacket are exceptionally detailed. 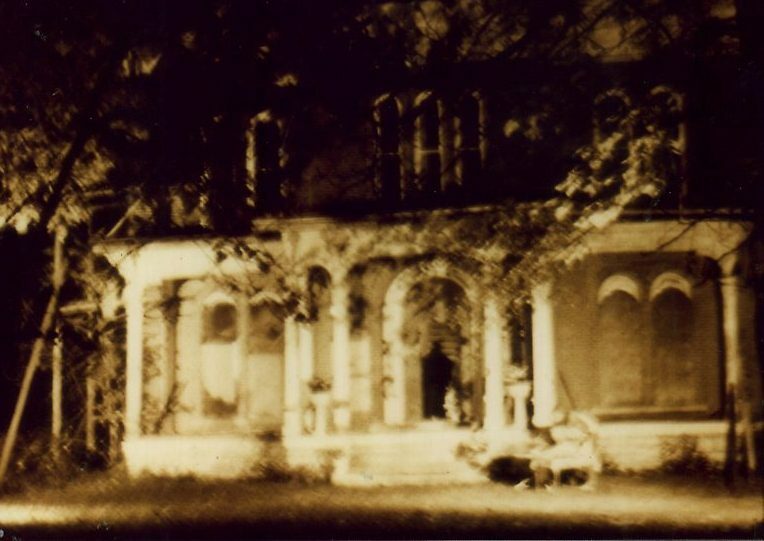 Second photo of the wine cellar at the McPike Mansion, taken by Carolyn Cullen seconds after the above photo. Face of a man in front of the balcony at the old Masonic Lodge, now Spirits Lounge. Photo by Shirley Koenig. 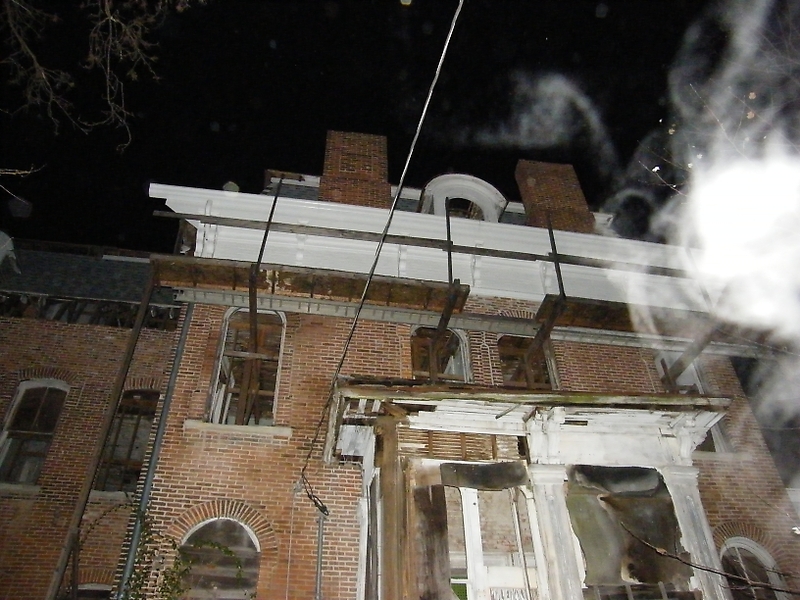 Shadow person standing in the doorway of the old McPike Mansion, photo by Rick Dixon. 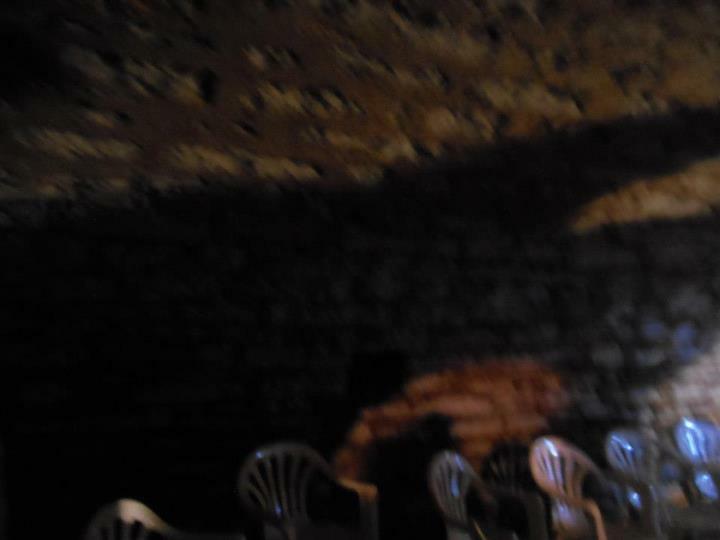 Figure of a man in the doorway of the next room at the old Milton School, photo by Gary Hawkins. 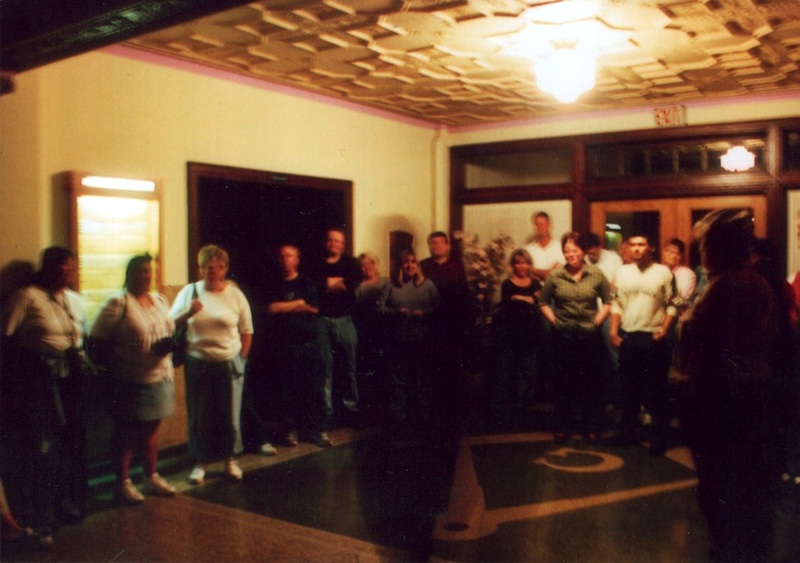 Shadow figure standing in the middle of a tour group at the Franklin Masonic Lodge, photo by Rick Dixon. Thomas Burke (former owner of the Burke Funeral Home) with Alton's "mummy" Deaf Bill. Photo given to us by Mr. Burke's son Timothy. 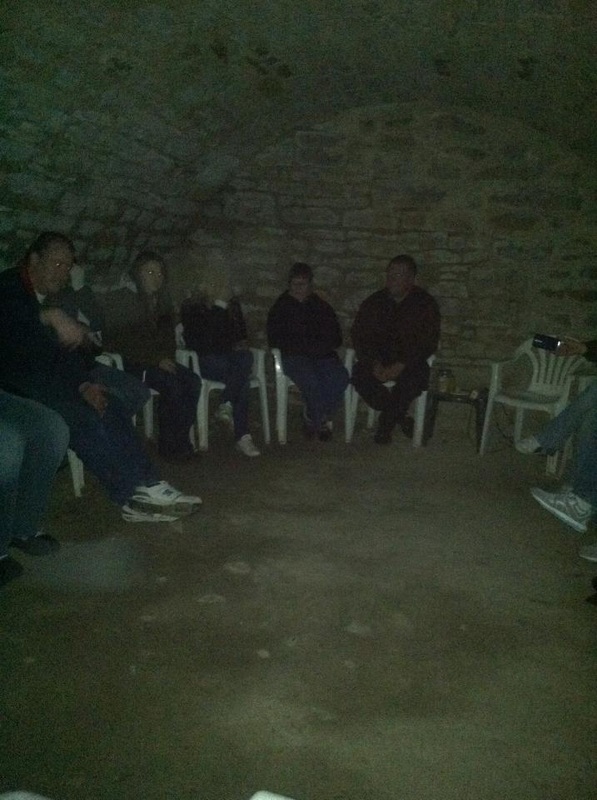 This photo was taken on the October 6, 2012 tour in the wine cellar of the McPike Mansion. 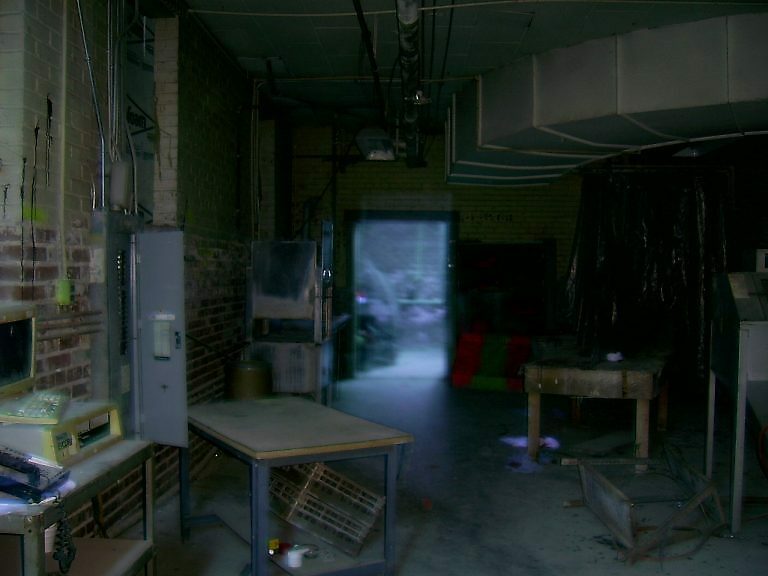 There was a "mist" traveling through the room as you can see the "tail" of it in front of the man to the left of the photo, and the most dense area of the mist was in front of the face of the person in the middle, so dense the mist made her look "headless". you tell us what you see and drop us a line.